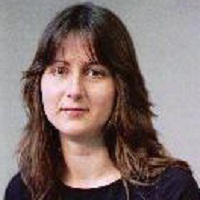 Kalina Bontcheva is a Professor of Text Analytics at the Department of Computer Science at the University of Sheffield. She is the holder of a prestigious EPSRC-funded career acceleration fellowship, working on text analysis and summarisation of social media. Her main interests are social media mining and summarisation, news analysis and summarization, and their data journalism and media applications. She is particularly passionate about developing socio-technical approaches to combating misinformation and preserving media trustworthiness in the digital age. Prof. Kalina Bontcheva conceived and lead the PHEME project (http://pheme.eu), which (in January 2014) was amongst the first to study computational methods for detecting and tracking of misinformation in social media. Bontcheva coined the term pheme to describe memes which are enhanced with truthfulness information. Since 2014, we have published numerous papers on this topic in high profile journals and conferences. We also created a public dataset of tweets annotated for misinformation, veracity, and rumour stance, as part of the RumourEval’2017 shared evaluation task. Prof. Bontcheva and her team were contracted in 2015 by Nesta to carry out real-time analysis of political engagement on social media for the 2015 UK general elections. In 2016 and 2017 we also undertook joint projects with Buzzfeed UK: first on analysing political discourse on Twitter around the UK EU membership referendum and then on analysing Twitter abuse towards politicians during the 2017 UK general election campaign. Kalina is also a deputy-coordinator of the SoBigData H2020 project, which is studying societal debates in the digital age, spanning news, online media, fake news, and social networks. Visit Kalina’s University of Sheffield staff page.